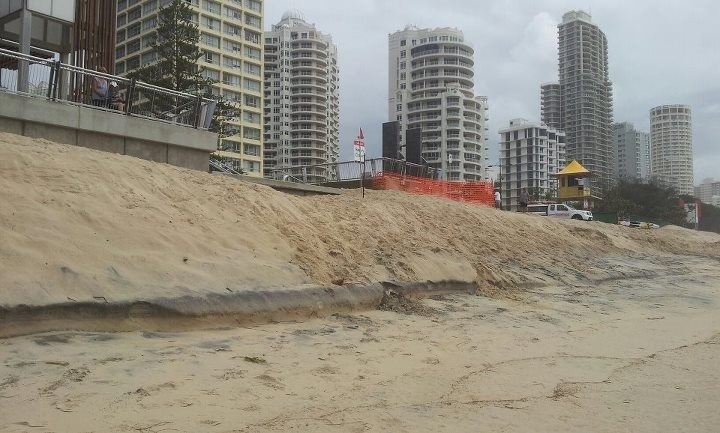 Our beaches are gone! Yes, gone. 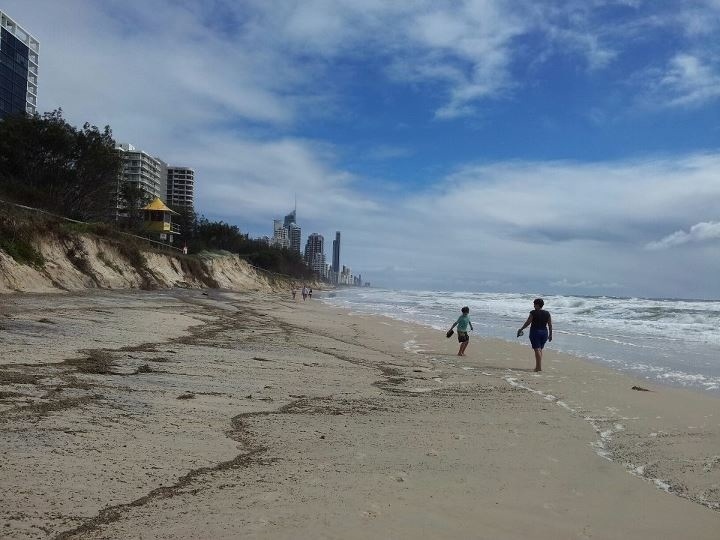 I showed you some photos a couple of weeks ago from my visit to the Sunshine Coast. If you missed it, click here. 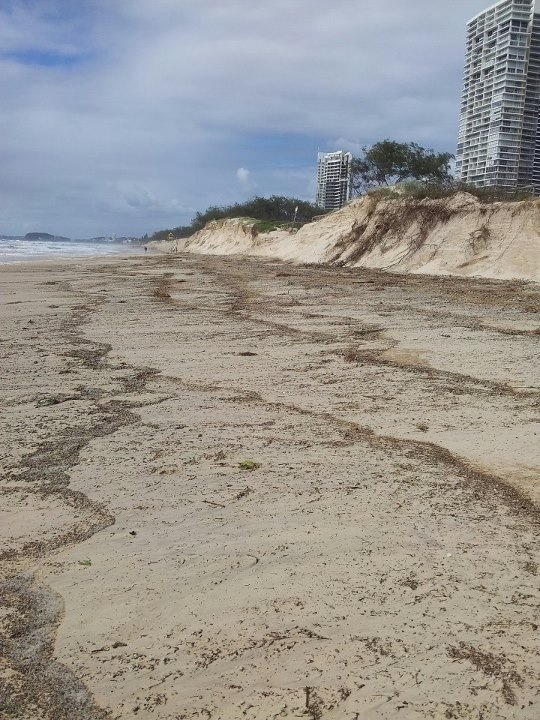 That was caused by the cyclone which hit Queensland at the end of January. 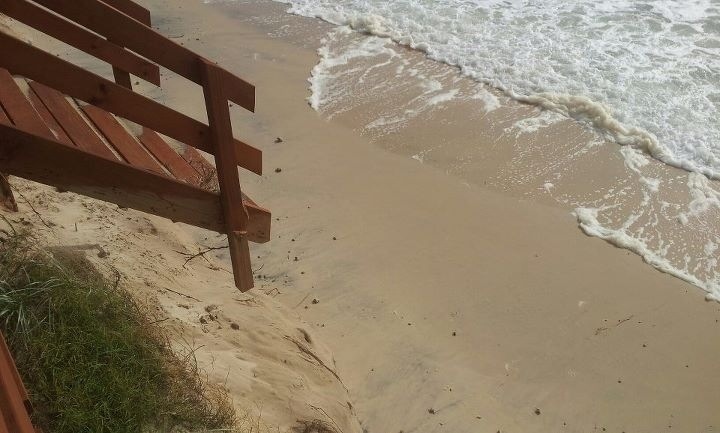 Ever since, we have had heavy swells hitting our coastline, lots of rain and some wind. 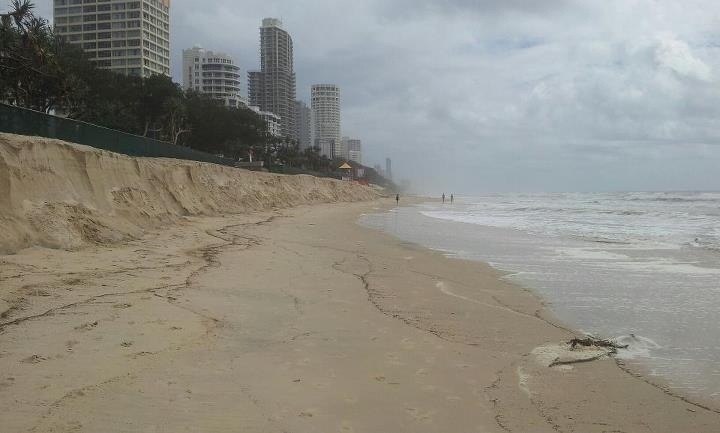 Another cyclone has formed off the coast on North Queensland and we have been a bit worried about what might happen. Luckily, it seems to have eased off. The swell is still quite heavy, and it will stay like that for another week or so. 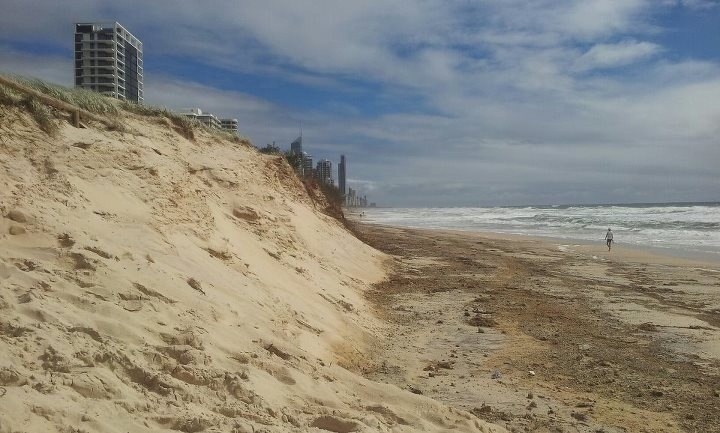 Now you can see the devastation on the Gold Coast beaches. This is what they looked like this weekend. 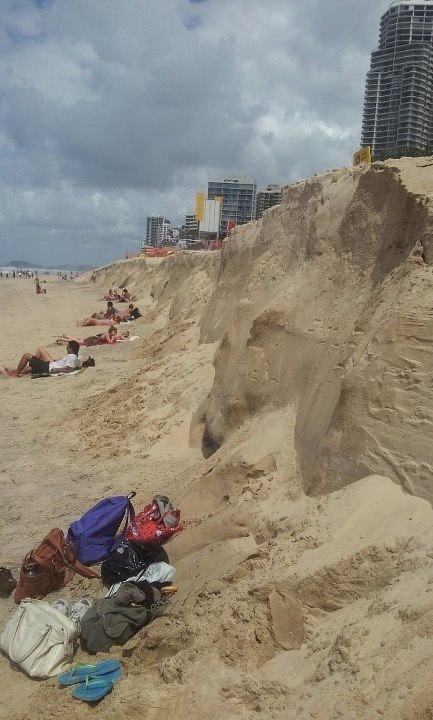 As you can see, a hell of a lot of sand has disappeared. 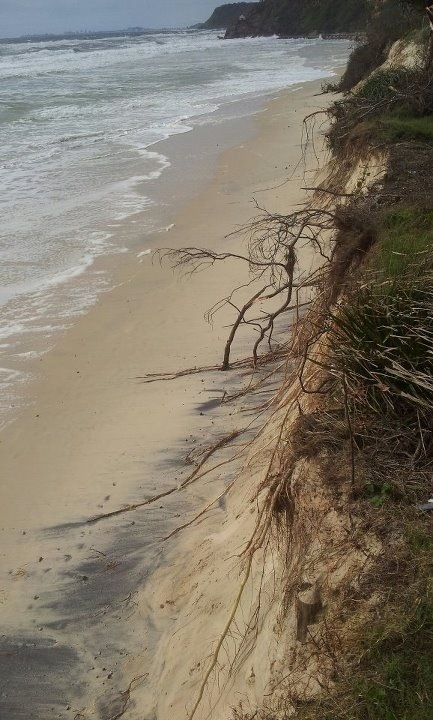 Coastal erosion is normal and has been happening forever, but all this in one hit is just a bit much. How will it get fixed? Well, a lot of money will need to be spent. By who? HA! we’ll let the politicians battle that out. 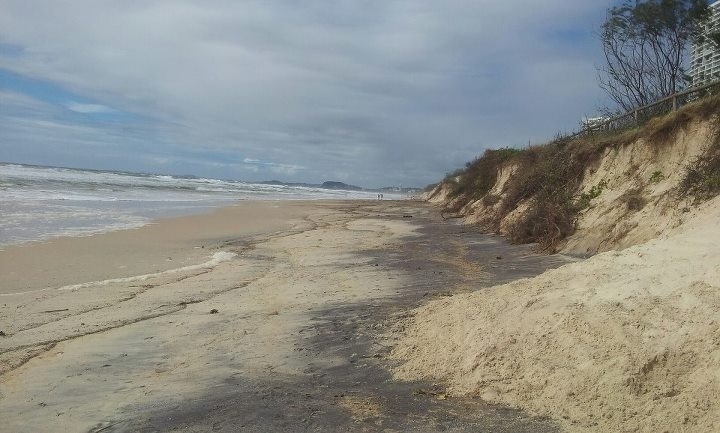 Although some beaches remain closed, others are open. Hopefully this won’t affect too many people’s holiday plans with Easter approaching. We are still eagerly awaiting good boating weather. Maybe the corrosion of the coast lines has surfaced new rocks/reefs for us to explore in our free-diving, spearfishing adventures. That would be one positive out of all this. The only positive really. 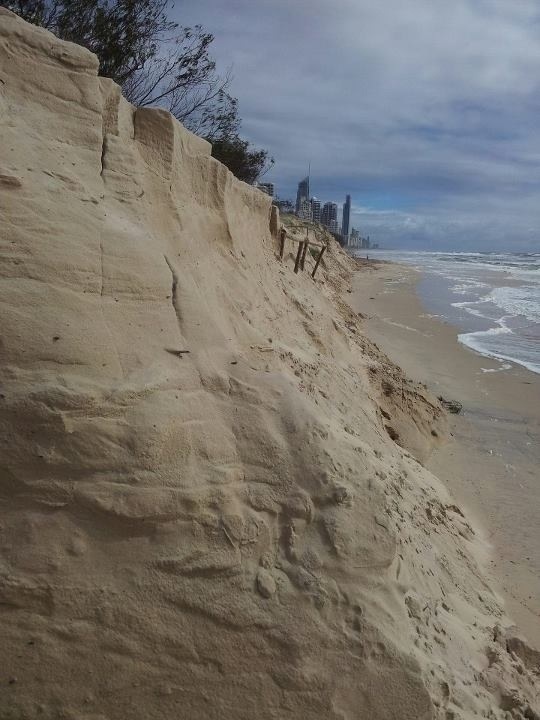 Ryan seems to think the sand being washed off the beach will more likely have covered up some of our spots. Way to kill my hope. He probably knows better than I do. Now give us some good weather so we can go check who is right! 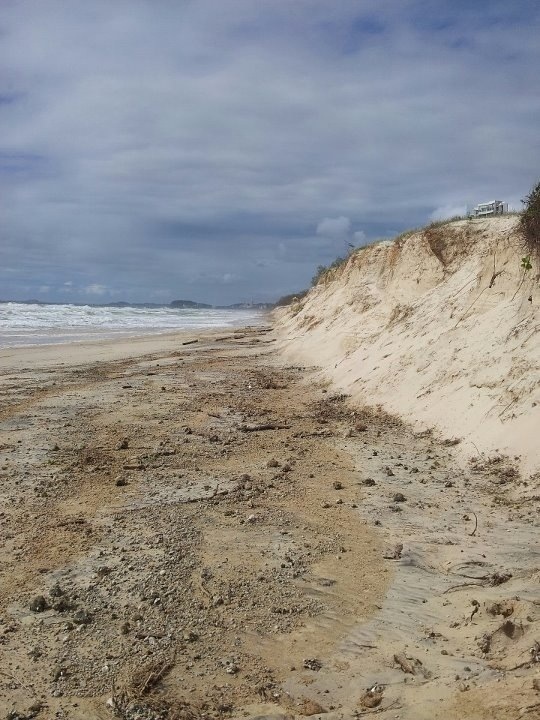 I would agree with Ryan, the sand was washed out to see and would have settled somewhere. 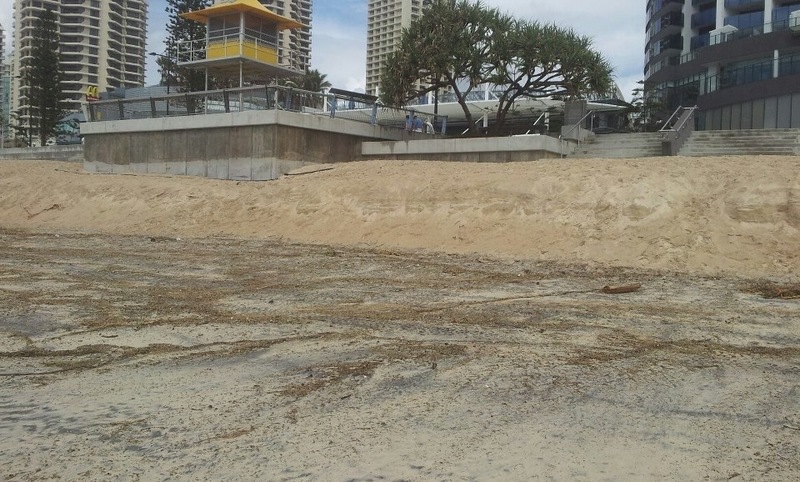 BTW they do dredge the Gold Coast Seaway 24/7 and the sand gets put back on the beaches. Not cheap but it has worked until now.